Vice President Mike Pence spoke at Coast Guard Base Portsmouth — and in the middle of his speech, paused to answer an unexpected call of duty. But even as he was speaking, one of the Coast Guard members on the stage next to him appeared to faint. Without a pause or the slightest hesitation, the vice president turned from the podium and dropped out of view. 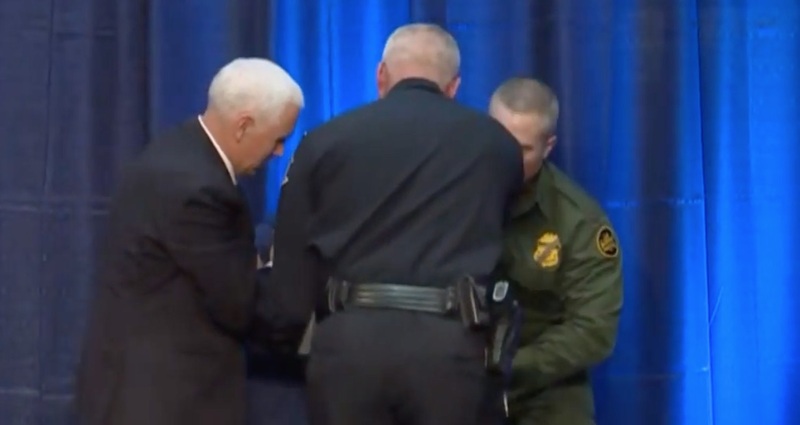 Pence was visiting Portsmouth to complete a tour of the base and discuss border security.